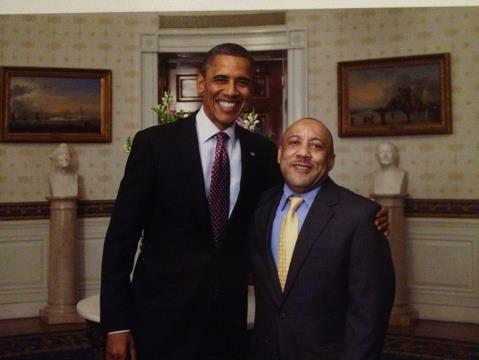 Democratic National Committee and Obama for America Announce 2012 Convention Platform Committee – Kylar W. Broadus, Esq. Kylar Broadus has been appointed to the Rules Committee for the Democratic National Committee (DNC) 2012 Convention Platform Committee. Kylar is a critical voice for the LGBT family and will be representing the transgender community and all those voices that often go unheard. Kylar consistently shows up as requested across the country to shift prevailing perspectives and effect statues and legislation. Please show your support in advancing freedom and change with a financial gift toward upcoming travel expenses. Whether you can give $5, $20, $50 or even a $100, it will go a long way to help Kylar Broadus represent us without incurring a debt beyond his means. A PayPal account has been set up to expedite your ability to help out. Please use kylarb@hotmail.com as the recipient’s email and follow the instruction given from there. Thank you very much for your donation. Please follow as the journey continues.